The healthcare industry is expected to remain the fastest growing industry through 2020. This means that there will be a great deal of opportunities for careers in the world of healthcare. What may be surprising to some is that not all of these jobs will be directly related to patient engagement. As the advancement of technology opens up multitudinous possibilities for healthcare professionals, it also opens up positions and careers opportunities in the world of healthcare informatics. How does computer science and information technology fit into the healthcare industry? The answer is multi-faceted, but it begins with information management. As information is gathered on a patient, that information has to be stored in a database. This information has be secured in order to protect the patient’s privacy, while allowing access to those who must review the information in order to provide adequate service to the patient. The management of these databases requires the expertise of a healthcare information technology specialist. This basically equates to having an IT manager that understands the functions and procedures of the healthcare industry. Healthcare IT has a greater demand because of the healthcare specific standards that must be satisfied. Because of the rapid advancement in technology, another area that is growing in opportunity is healthcare technology consultants. These individuals will have a certain level of expertise in informatics that allows them to advise organizations and hospitals on technology system acquisitions and operations. The demand for these jobs are currently on the rise in direct correspondence with the growth of the healthcare industry. As technology continues to advance, the need for consultants will continue to increase. 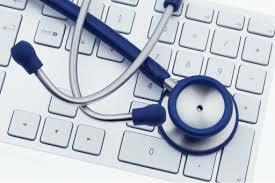 Healthcare technology consulting will make up a considerable portion of the healthcare informatics spectrum. As healthcare informatics develops momentum the impact will be felt through the healthcare industry. Billing, services, lab results and more will all be impacted. As the data revolution advances, the need for individuals who can help securely manage that data will increase. At current that is no projection of the rate of technological advancement slowing, but even if it slows it will continue to advance to meet the need of system improvement. Salaries will vary depending on a number of variables such as sphere of operations and position. Software engineers, who will properly be heavily associated with healthcare, can expect to receive a starting salary of approximately $54.840. Systems analysts will be offered an average salary of around $47, 130. A clinical informatics pharmacist can expect to earn $109,000 out of the gate. An informatics analyst can make as much as $88,100 to start. Consultants will make a base salary of around $67,000. It is important to understand that the numbers that are presented here can be viewed as conservative. The high demand for healthcare informatics specialists and the urgent need for system and infrastructure improvement almost guarantees that these number will increase significantly. Most healthcare informatics jobs will require a minimum of a Bachelor’s degree or equivalent in the field of information technology. There are some programs that will require a master’s degree in computer science, subsidized by a secondary medical course or experience working in the medical information field. With the advancement of cloud-based technology, healthcare systems now have the option of using dedicated servers to help manage and store their data. This means the use of software as a service (SaaS) and other cloud-based service that eliminate the heavy use of onsite hardware. Although the acquisition of hardware may decrease, the need for people with knowledge of how these new information and data management systems function will continue to increase. At current the healthcare infrastructure is not adequately prepared for the challenges that are associated with HIT. For instance, a recent report revealed that many HIT executives in the healthcare industry are not confident that they are properly prepared for disaster recovery. Healthcare informatics specialists will play a major role in the development of a more functional infrastructure that is prepared for the rapid compilation of data, its protection and recovery when necessary. For those individuals that have a background in general information technology who want to enter an industry where growth is expected to continue steadily over the next six to eight years, now is the time to begin preparing yourself to enter the world of healthcare informatics. health care, Healthcare Consulting. Bookmark. Opinion on Healthcare Staffing Agencies, Are they worth it?